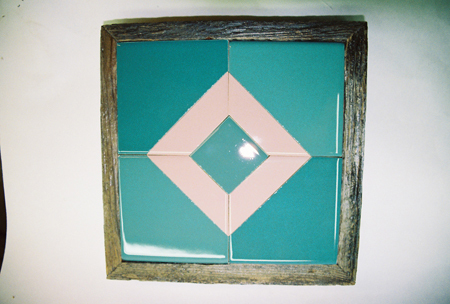 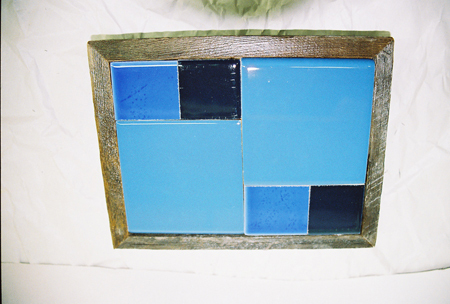 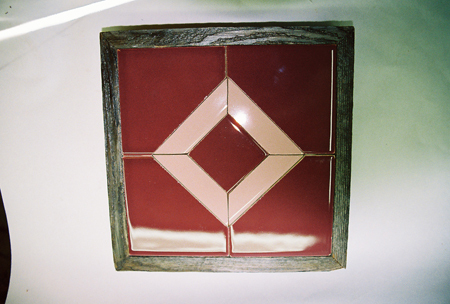 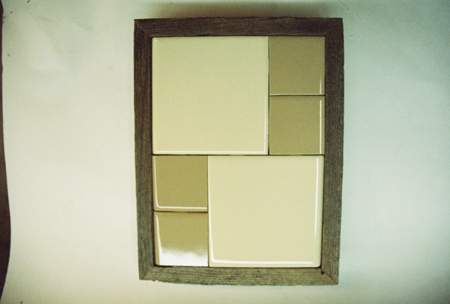 Tile trivets and hot pads are framed with old weathered wood. 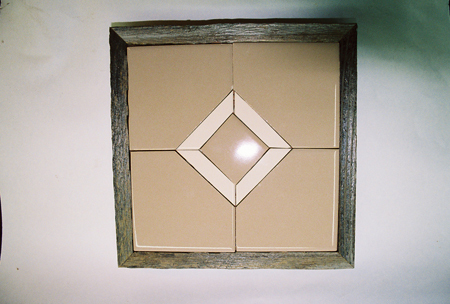 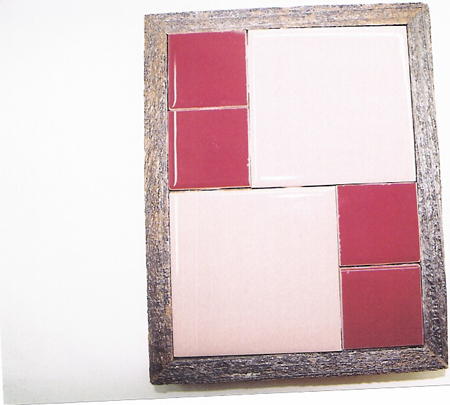 Two sizes and many tile color choices to choose from. 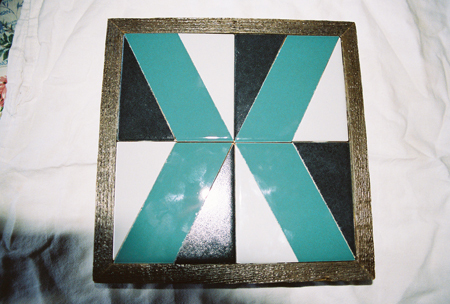 Use as centerpiece on table or counter, or hang on the wall for color and decoration. 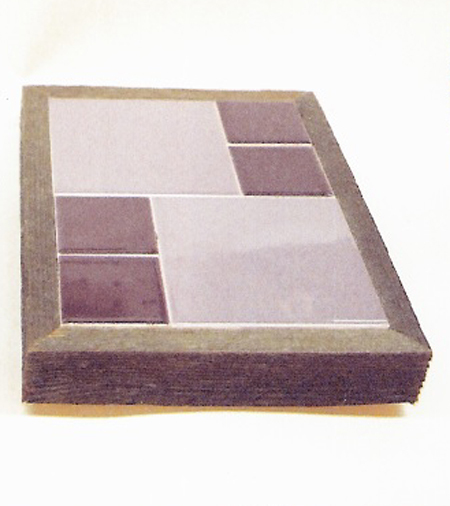 Plastic or rubber feet for no scratching. 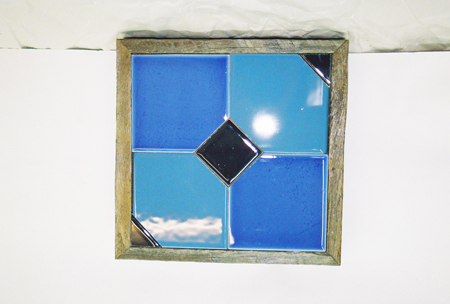 Protect table and counter from heat of pots and serving dishes.